One of the best ways to protect skin from the sun is with UPF sun protection clothing. 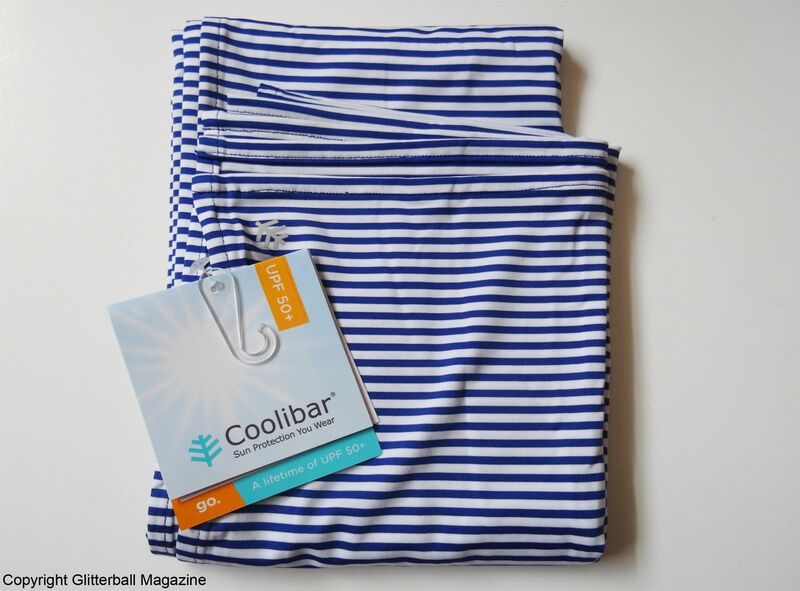 If you’re searching for something chic with added protection from the sun, you’ll be pleased to know Coolibar sell a stylish range of clothing and accessories. 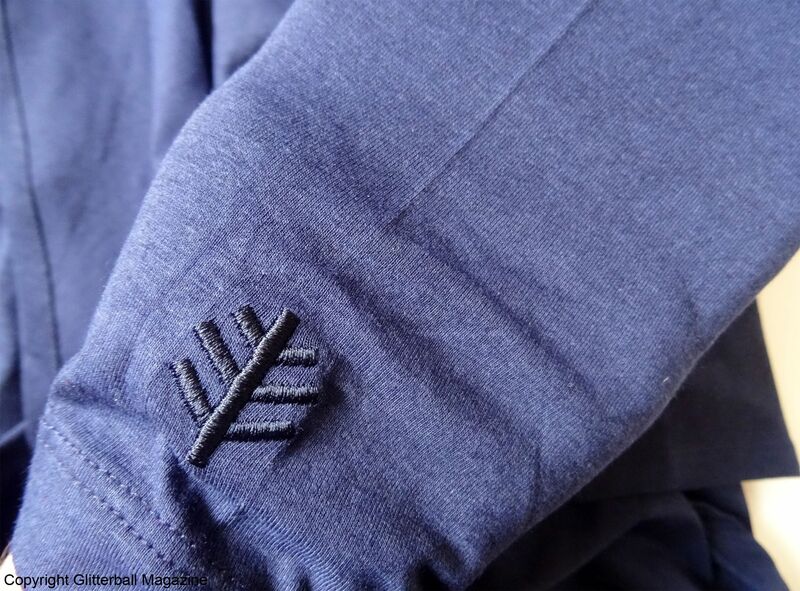 Do I really need UPF clothing and accessories? If you want to protect your skin with minimal effort, then yes. As I’ve previously mentioned, UPF clothing and UPF accessories are an easy way of looking after our skin. 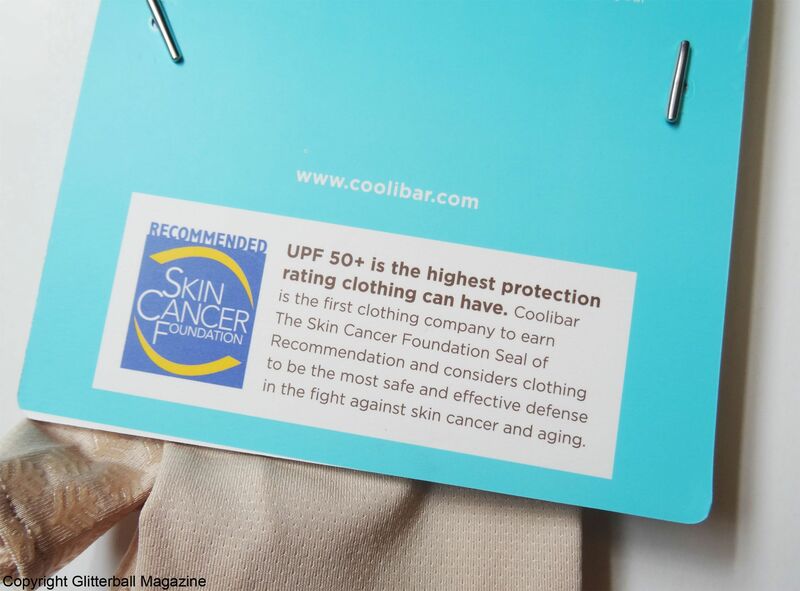 UPF stands for Ultraviolet Protection Factor, which is a rating system similar to the SPF rating used in sun creams. 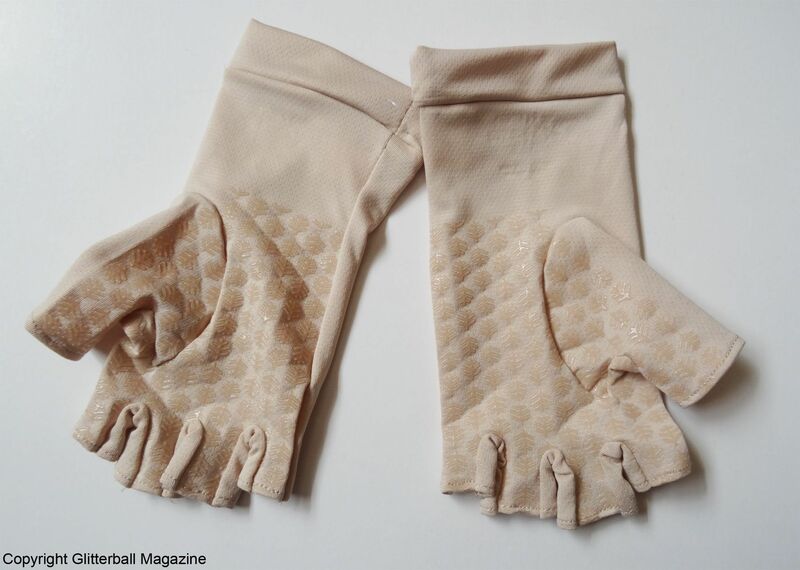 It represents how clothing can protect our skin from harmful UVA and UVB rays. Everything in my haul is approved by The American Skin Cancer Foundation. 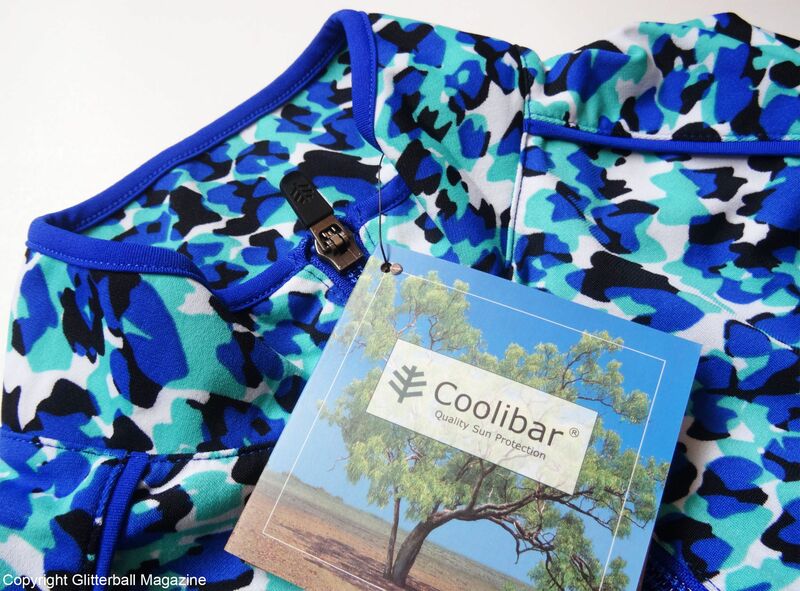 If you’d like to buy similar pieces, you’ll be pleased to know you can shop for Coolibar UPF 50+ clothing and accessories at UV-Fashions. 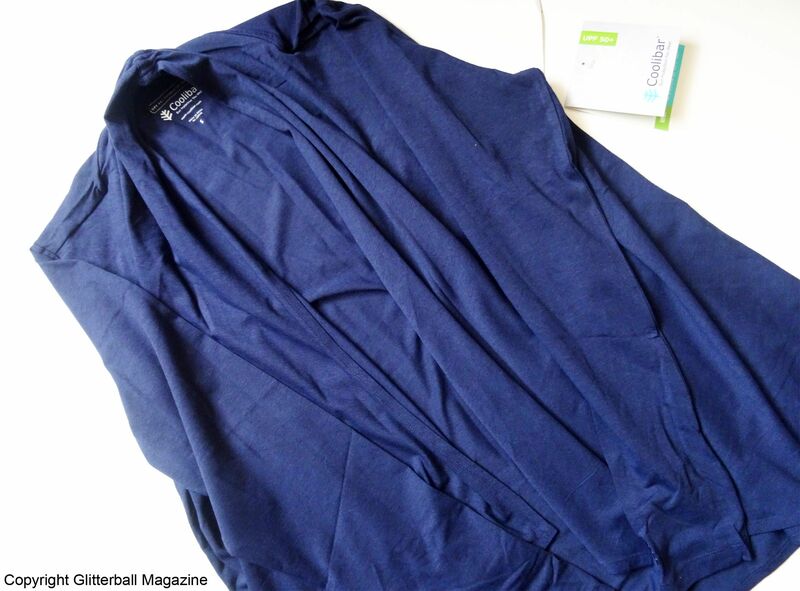 What’s in my UPF clothing haul from Coolibar? The shoulders and arms are a notoriously difficult part of the body to protect from the sun, particularly if you’re swimming or sweating. No matter how much sun cream I apply before hitting the water, my arms always end up picking up a bit of colour (which I don’t like because I personally don’t think there’s such a thing as a healthy tan). Although it’s cool in the water, our skin is still exposed to the sun. According to World Health Organisation, water reflects 10% of UV radiation. Sure, this might not seem like a lot but it’s still harmful. I’m very diligent when it comes to reapplying sun cream but my dermatologist in Slovenia recommended covering my skin with a UPF jacket when I’m in the water for extra protection. 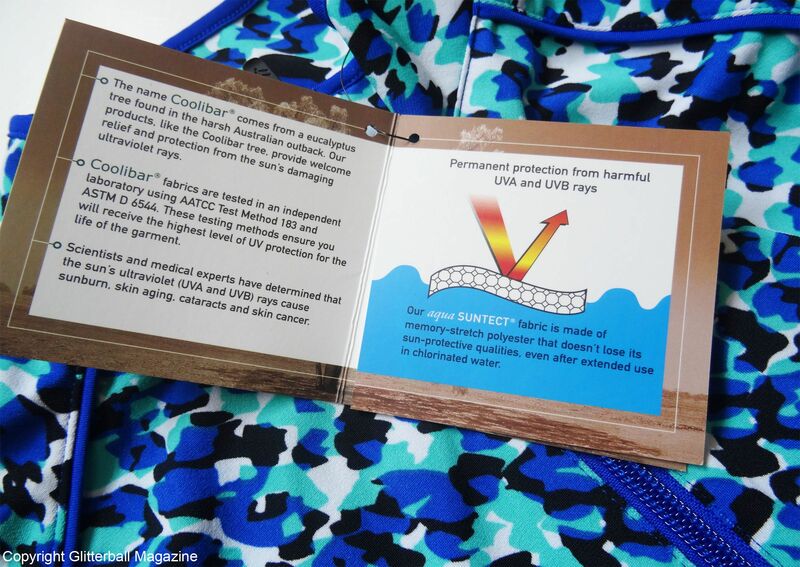 Hence why I bought this UV Swim Jacket. 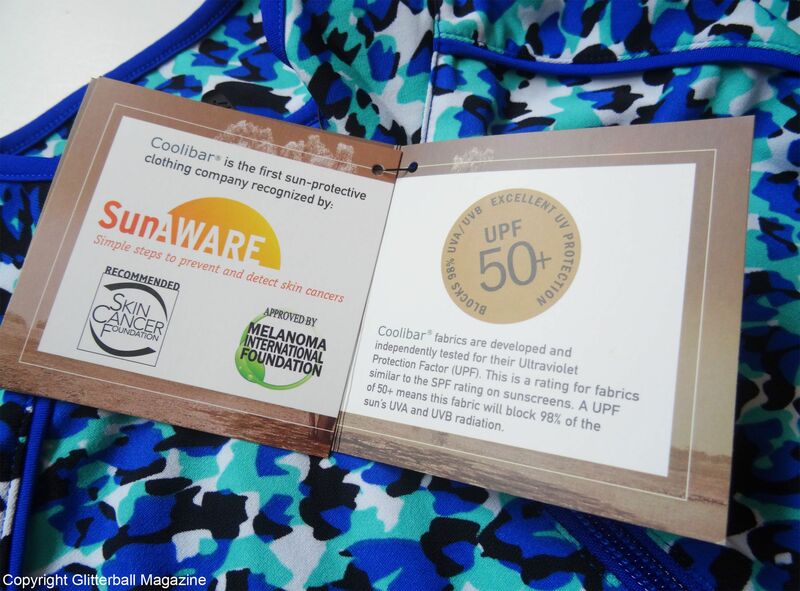 Made from a unique aqua SUNTECT® fabric, it blocks 98% of UV rays with UPF 50+ protection. 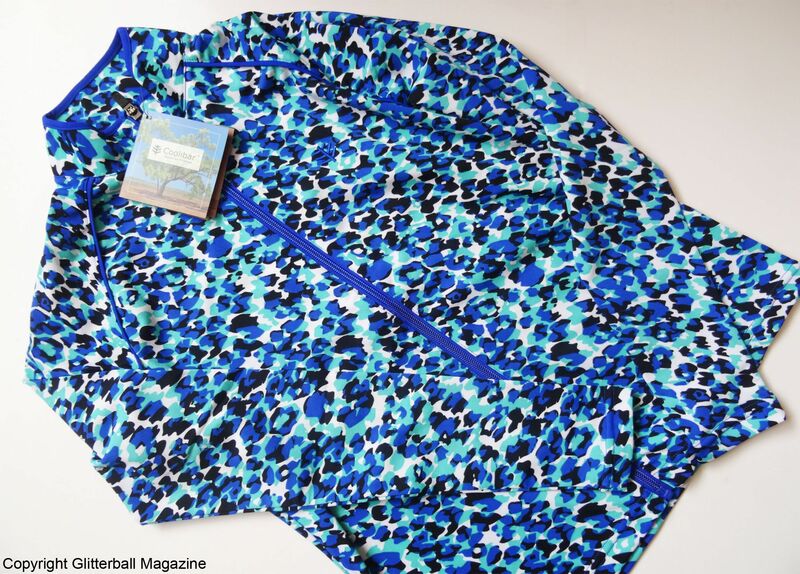 It’s lightweight and has a full-length zip down at the front, making it ideal for swimming and beach water sports. In addition, this jacket is resistant to salt water and chlorine. 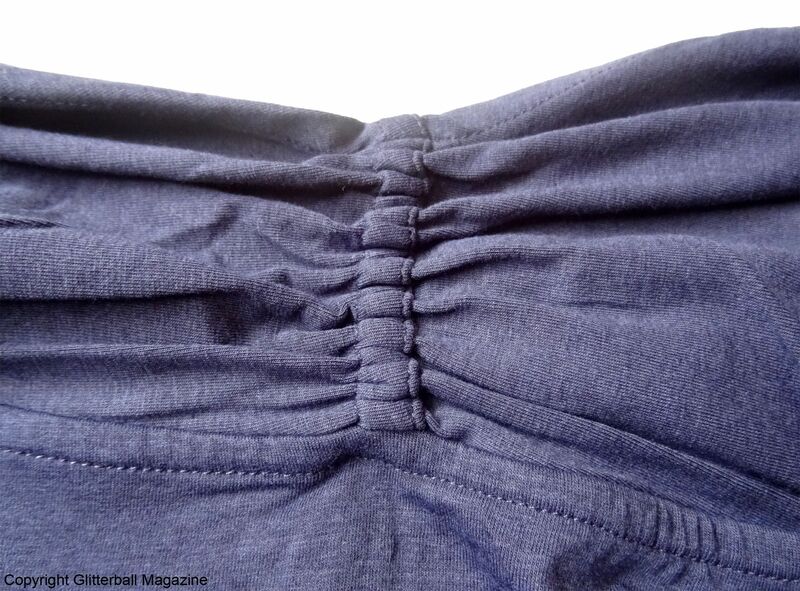 It can also be worn during the day – I love the gorgeous pattern! As someone who’s extremely interested in protecting my skin in the sun (you may read that as #secretvampire), I know it’s important to think about ways to shield my skin throughout the day. I avoid being out when the sun’s rays are at their strongest (between 10am-4pm) but this can be tricky if I’m somewhere where it’s still hot in the evening. Not anymore. 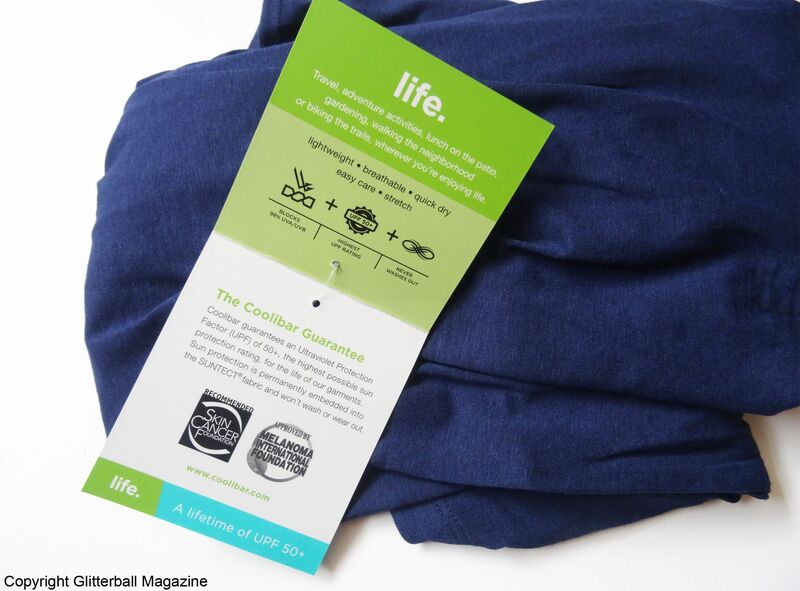 The UV Sun Wrap from Coolibar is the perfect evening cover up. 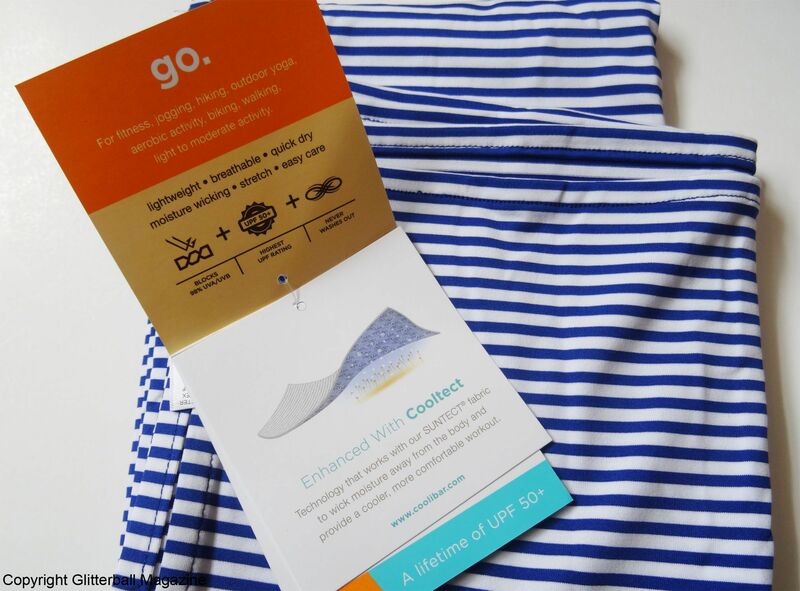 Made from cotton, bamboo viscose and elastase, this wrap uses innovative ZnO SUNTECT® fabric technology to offer UPF 50+ protecting, so skin gets 98% UV protection. ZnO SUNTECT embeds millions of tiny particles of zinc oxide (the same ingredient used in many sun creams) into each fibre to make sure skin is fully protected. It’s ideal to layer over dresses or wear with a t-shirt and skirt, so I can’t wait to take this to Croatia. It’ll certainly solve the problem of protecting my skin (obviously I still wear sun cream) throughout the day. 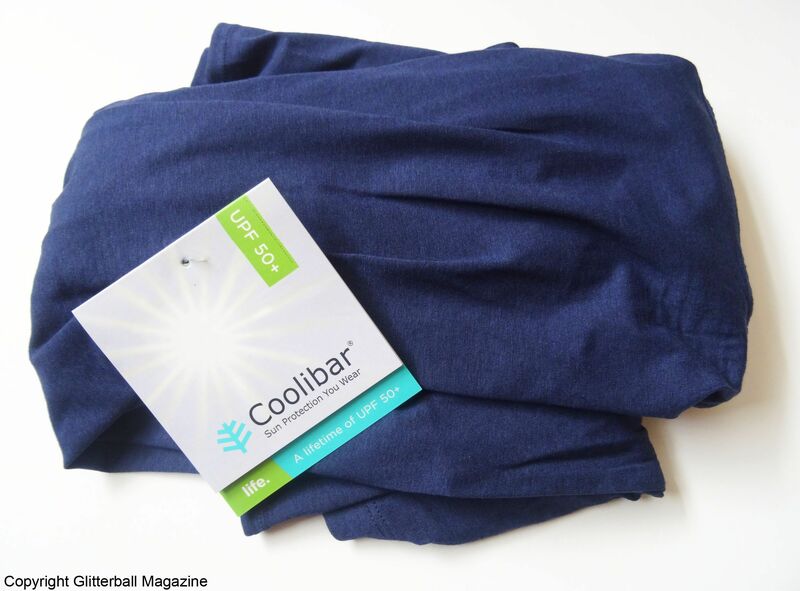 If you’re going to order the UV Sun Wrap, make sure you order a smaller size – it runs bigger. 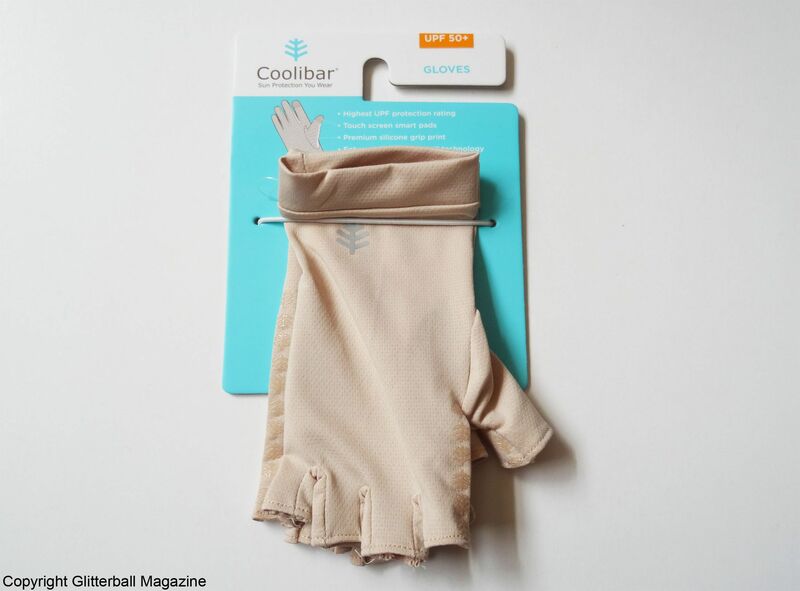 The skin on our hands is very delicate, so it’s important to protect them in the sun. 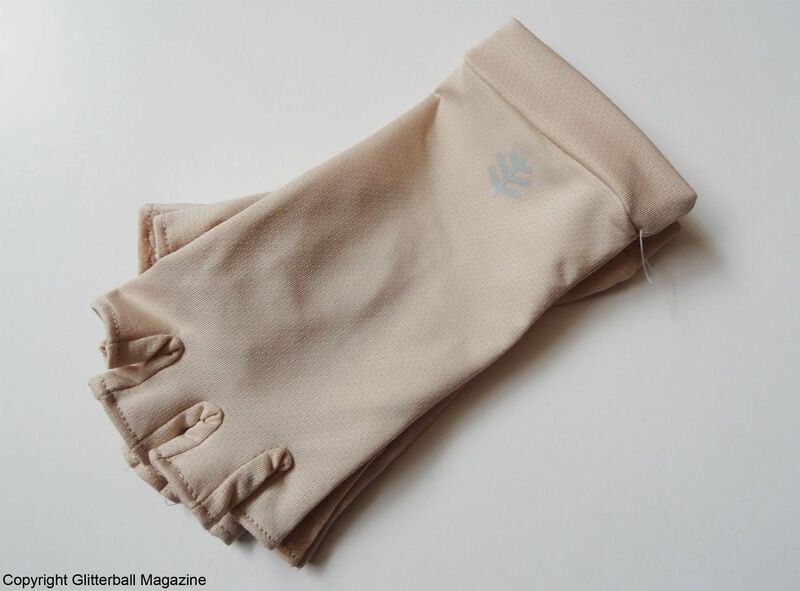 As you may know, I’m a huge fan of UPF gloves and I’ve been in desperate need of a new pair. This sleek new pair is stunning. Made from lightweight and breathable SUNTECT® fabric with UPF 50+ with a 4-way stretch mesh construction, they’re an ideal way to protect my skin whenever I’m outside. This pair blocks 94% of radiation from UVA/UVB rays (the white pair offers 98% protection). Designed with a silicone print grip, they’re also perfect if you want to protect your hands when driving. I keep them in my bag at all times. The neck is a commonly missed spot when it comes to applying sun cream and because the skin is very thin in that area, it’s more prone to premature skin ageing. Preventing such sun damage is easy with this elegant Breton striped shawl. It looks lovely paired with a navy blazer and fitted trousers or jeans. Blocking 98% of harmful UVA and UVB rays, this shawl is made from breathable knit SUNTECT® fabric with antimicrobial protection. It’s super lightweight too, making it ideal to pack in a suitcase. Incredibly versatile, it can be worn as a scarf, a bandana, or thrown across your shoulders. 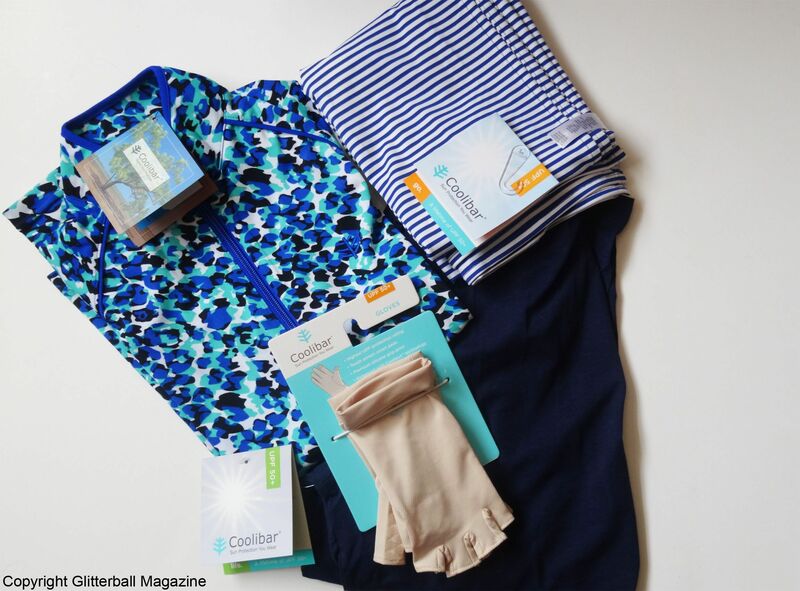 I hope my haul from Coolibar inspires you to consider adding UPF clothing to your wardrobe. For more inspiration on UPF clothing and accessories check out why I love UPF hats so much!